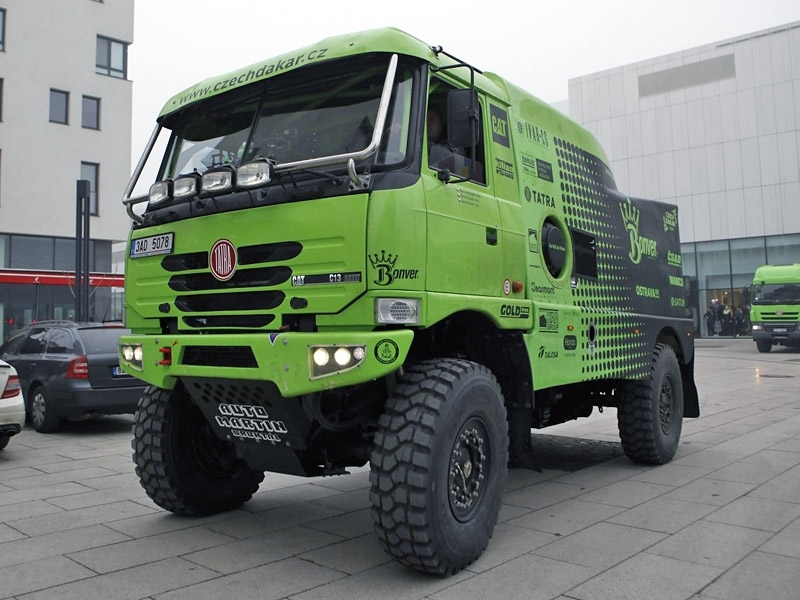 Model of a Dakar Truck based on Tatra T815 4×4. Features drive, steering, full suspension and custom stickers. 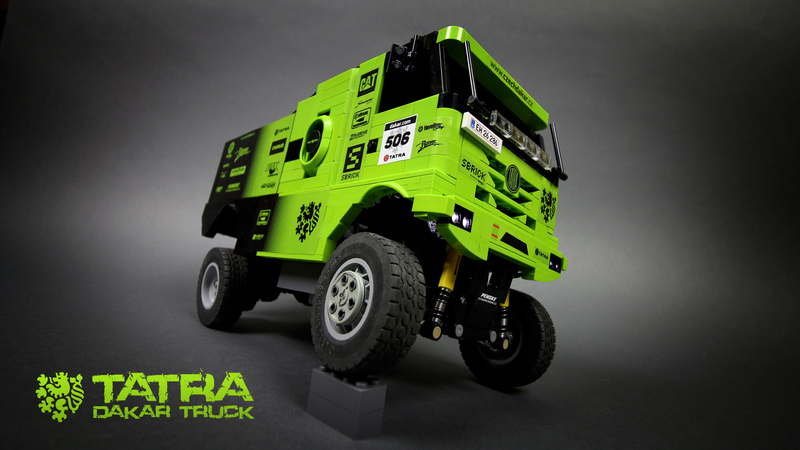 I’m a big fan of the Lego lime green color, so when I came across photos of a Tatra T815 4×4 Dakar truck in a beautiful lime/black livery, I just had to build it. It was also a good opportunity to test the performance of Lego RC motors when powered through SBricks. The model was built at small scale, as low weight was my priority. 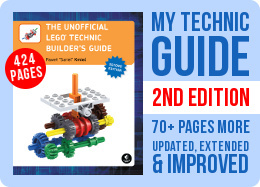 It was propelled by two hard-coupled Lego RC motors whose faster outputs were used as the rear axle. The two motors were mounted on a ball joint, effectively creating a live axle rear suspension. In the middle of the chassis were two 8878 Lego batteries with a pair of Lego LEDs connected to each – this way the truck’s headlights acted as indicators of which batteries were turned on or off. On top of the LEDs’ plugs – to avoid adding more wires – were the SBricks, one per each battery. Between the batteries was a PF Servo motor controlling the front axle which used standard double wishbone independent suspension. The body was built with just a few plates/tiles panels and it looked too tall because of the increased suspension travel. 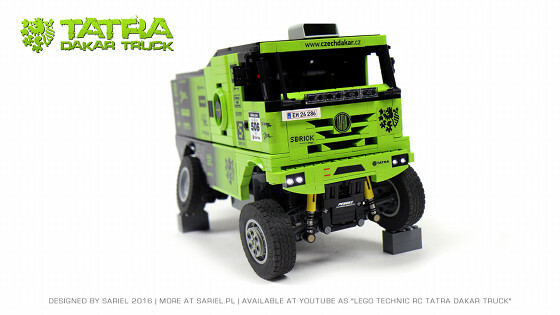 As the video demonstrates, the truck looked realistic when the suspension was pushed down – this is because the body was correctly scaled, but was sitting higher above the wheels than in the original truck. This was the inevitable result of using soft suspension with long travel. 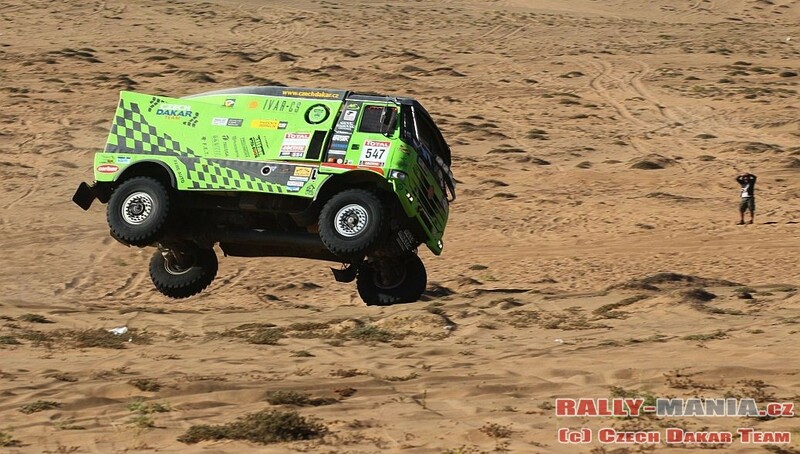 Another result were problems with stability – even though all heavy elements were placed very low in the chassis and the upper body was very light, the truck had a tendency to roll over when cornering at full speed. I was able to reduce this tendency by using harder shock absorbers in the front suspension and by decreasing the steering lock (not physically – I have simply limited it in the SBrick software), but it was still there. 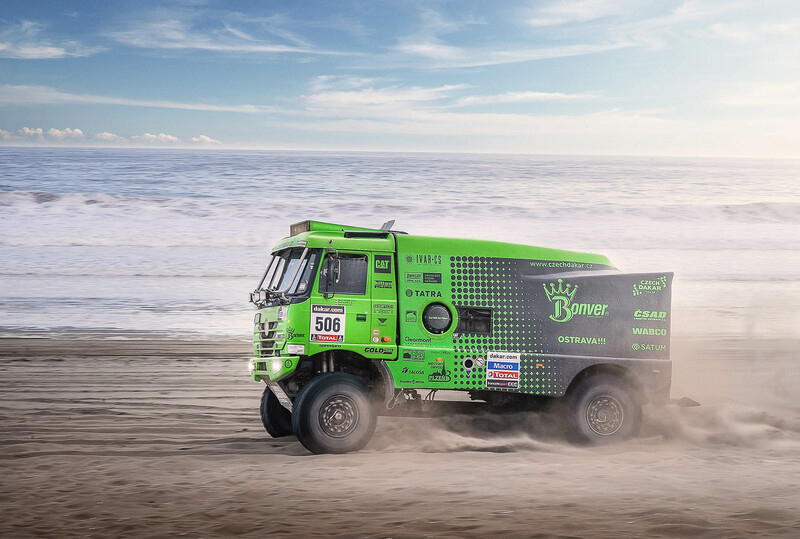 The truck cornered perfectly well if the speed was decreased – and this is understandable, seeing as the top speed of 12 km/h in a 19.5:1 scale model is equivalent to 234 km/h in a full-size truck. I was pretty happy with the model because it performed very well and it was fun to drive. But at the same time it was pretty challenging to control and it made me appreciate the advantages of lower and wider vehicles that remain stable at high speeds. Of course I’ve used that steering system. Multiple times. I am PF XL motor by the way. But the two motors aren’t really independent. They’re hard-coupled. Nice design in this very colour I like too. This one shows once more, that it makes sense to install the biggest motors possible, or to strive for relatively small vehicles, all to better power/size. – You could easily lower the batteries at least one step downwards, without deceasing ground clearance, and mount them sideways eventually, to furtherly lower the c.o.g..
– Why not designing a side stabilizator for the axle(s)? motors for each wheel. 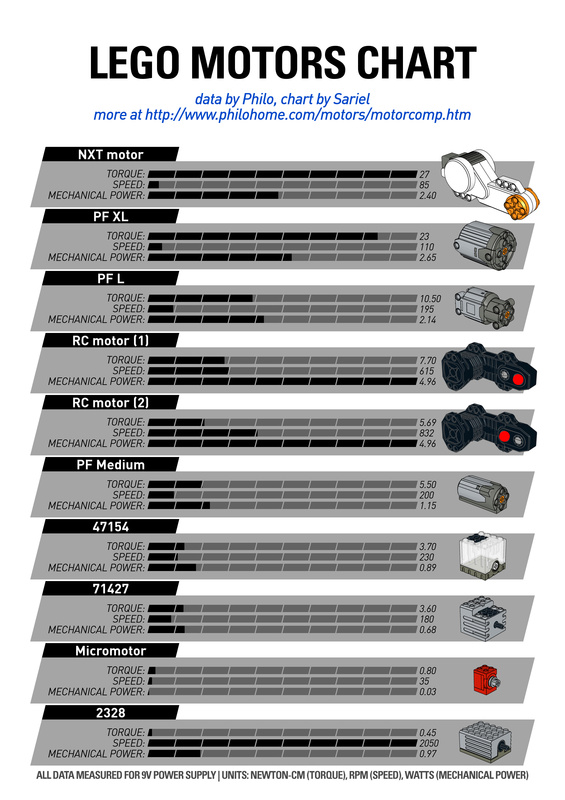 With electrical motors, it even matters if the motors are supplied independently or if they are electrically connected in parallel, since then the load change alters the current distribution to the two motors because of their impedance change. This is of course not the case in your model, since you use independent supplies to each motor. Long supension travel is meant to be used cross-country, but you show no such performance playing around on tarmac. How is it there? I print them at Copy General. Hi Sariel, I wonder how you manage to make the stickers for your creations since they look amazing. Do you print them yourself using some special equipment? Greetings from Italy. 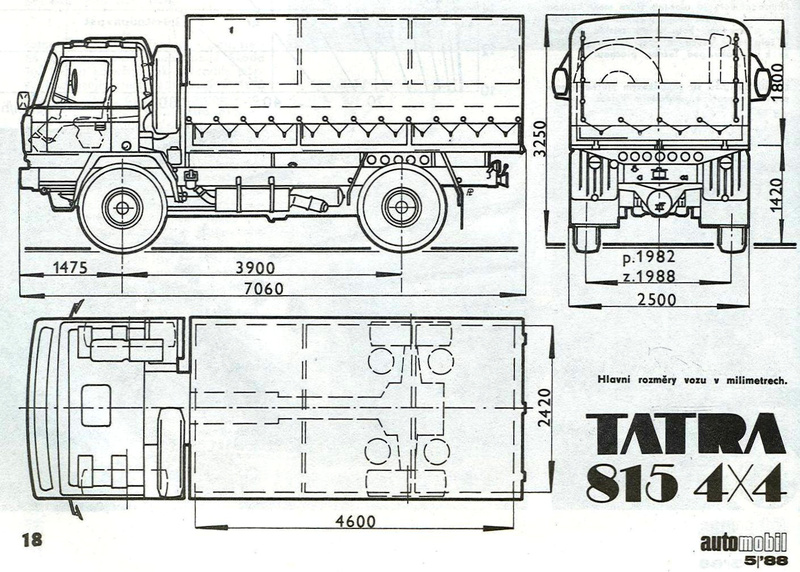 Well, truth is I’ve built the chassis long before deciding on Tatra body. Why not make another record breaker with 2 rc units? Wonderful job again! I guess that you will need to publish a new book on building techniques which allow such a clean and nice finishing. I love the level of detail!